November 3, 2011 May 31, 2012 Nefer Khepri, Ph. D.
Let’s face it. Things are tough all over. Many more of us are now working our butts off only to just barely have ends meet. The world economy is apparently in quite a bit of trouble. Countries like Greece and Iceland have gone bankrupt. It’s quite scary to watch the news (then again, the news has always upset/scared me). I have found that the simpler a method is, the more effective and immediate the results. I have discovered from a variety of sources a very easy method for inviting the Prosperity Angels into your life, and yes, they do exist. I can personally vouch for them as they’ve helped me many times. Prosperity Angels are mentioned by Karen Paolino on her blog (http://karenpaolino.blogspot.com/2009/04/calling-on-prosperity-angels.html) in a post from 2009, and I believe that Doreen Virtue also discusses them in one or more of her books, but can’t be 100% certain on that since I read her books, then give them away so I have nothing to reference here on that. 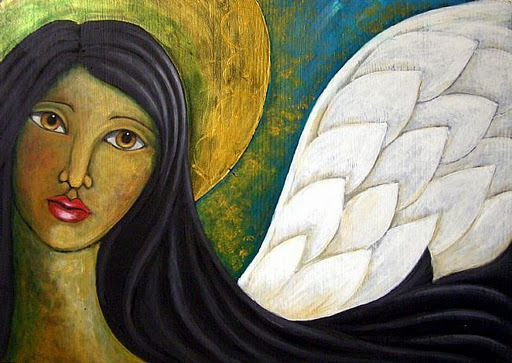 If you google “prosperity angels” you can also find mention of them in many places on the internet. 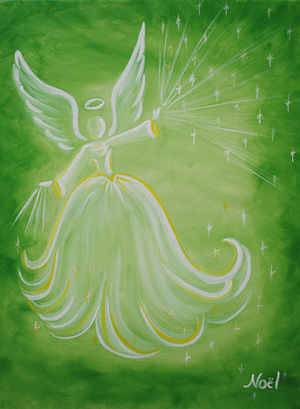 When you are in need of money, the Prosperity Angels can help. Karen Paolino has a prayer I’ll include at the end of this article. What I shall share with you is my personal method for contacting the Prosperity Angels. What you do is to simply write them a letter. I’m having computer problems. The motherboard of my HP laptop keeps overheating & I fear that soon my entire computer will fry. I cannot run my business without a computer & it’s important that I have my own & not have to share considering how many hours a day I often spend working. Please manifest for me the money I need to buy a brand new HP desktop, and if you can swing it, I’d love one of their new models – the kind that no longer requires a tower because everything’s up in the monitor. I think that would be so cool. Oh, and I would also like a 21″ monitor, if you please. I very much appreciate your help, Prosperity Angels. Thank you in advance for the money that allows me to buy the new computer. Now, if you need a certain amount by a certain date (rent money, for example, or to pay the bills) please be sure to note the date in your letter so the Prosperity Angels know that they have a limited time to work on this for you. This is a nice, easy method, and believe me, it WORKS. So why not write the Prosperity Angels today? Perhaps as comments to this blog entry you can all post how the Prosperity Angels have helped you. “Angels of Prosperity and Abundantia, please help me to bring peace, balance and an increased flow of abundance into all aspects of my life, especially my finances. Help me to be open so I may receive whatever I need and more. I am open and willing to receive unexpected miracles, help and ideas of inspiration so I may experience financial freedom. Thank you for your loving support.” ~ Karen Paolino, 2009.